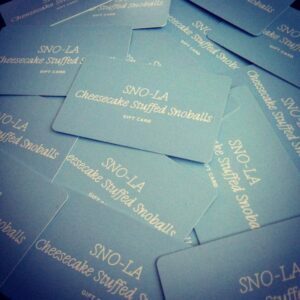 Get $20 off when you buy 4 or more tickets to one of our famous SNO-LA Snoball tasting events! 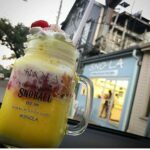 SNO-LA has quickly become one of the most talked about snowball stands in the Greater New Orleans Area. We are the home of the Original Cheesecake Stuffed snowball and we’re also the creator of the “snoball tasting”. Our Chantilly Cake and Oreo Cheesecake snoballs are hard to miss on social media sites. Our customers are drawn to our soft ice, excellent customer service and creative flavor combinations. 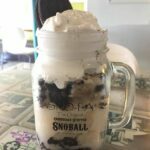 Patrons can choose from a wide variety of flavors and they can even have their snowball made in one of our souvenir glass mason jars. We are open year round and we offer a unique indoor customer experience that also allows us to remain open during inclement weather. Snola Loft is the newest addition in the Snola Metairie location! We are excited to be able to welcome back our favorite Snola events with the addition of this recreational space along with a few new uses as well. Snola Loft is an affordable room rental that can easily be used as a private meeting or party space. The space can accommodate a maximum of 50 people for any one event. It is a great space for baby or bridal showers, engagement parties, football parties and more. It’s also an excellent space to host a continuing education class or any other work meetings. For an exciting Paint Night, be sure to check out CraftSnola at the Sno-La Loft. You can create your own Snoball themed art while enjoying a delicious Sno-La Snoball! Our menu is full of traditional combinations that anyone can enjoy as well as an ever-changing menu of signature creations. From flavors such as Wedding Cake to Bananas Foster to our always popular Chantilly Cake Cheesecake Stuffed SnowBall, you can be sure to find something delicious at SNO-LA! What better way to celebrate another year of life than enjoying some of our famous cheesecake stuffed SnoBalls! We host parties both large and small. Contact us for more information about birthday events at SNO-LA Snoball Lounge. Make a lasting impression on your wedding guests with our famous New Orleans Snoball flavors and cheesecake stuffed snoballs! We cater to weddings large and small. Contact us for more information about having SNO-LA at your wedding!